This summer Start-Rite Shoes has joined with the Ben Cohen StandUp Foundation to launch the #KidsWalkTall campaign to help raise funds for the anti-bullying charity. The campaign aims to empower children and encourage self-confidence as part of their journey through school as they learn more about who they are and who they might be tomorrow. This is highlighted in a short film where children share their thoughts on school life, the friendships they’ve made, the struggles they face, and how it’s good to be different. To support the campaign, Start-Rite are asking parents and carers to share the campaign film on their Facebook, Twitter or Instagram pages. 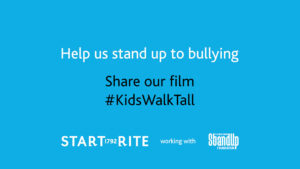 Each time thefilm is posted publicly with the hashtag #KidsWalkTall, Start-Rite will donate £1 to the anti-bullying charity. 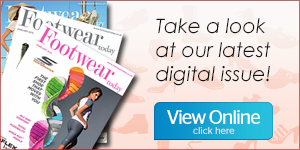 Start-Rite Shoes has helped children explore in comfort and confidence for 226 years and believe every day is an opportunity for children to discover more about themselves and the world around them. 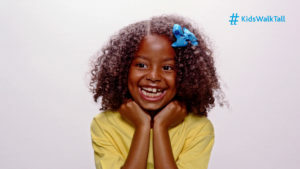 Start-Rite stands together with the Ben Cohen StandUp Foundation to support and encourage children to feel strong and confident and believe that school should be a place where every child should be free to walk tall.